If you receive a moving violation in New Jersey, points will be added to your NJ driving license and driving record. Other violations such as parking tickets, do not have points associated with them. Once you receive 6 points or more within 3 years, the NJ MVC will impose a surcharge of $150 plus point costs. Before you reach 6 points, you can reduce the number of points on your drivers license by 2 points when you complete the NJ defensive driving course which is available online. The 2 point reduction defensive driving course can also help reduce your NJ car insurance rate. The NJ mandatory law states upon completion of the 6 hour NJ defensive driving course, drivers are eligible to receive up to 10% reduction on their car insurance for 3 years. Contact your NJ auto insurance agent to confirm what percentage discount you’re eligible to receive. There are other ways that your points come off your New Jersey drivers license. Choosing the best traffic ticket lawyer often means selecting one who focuses the bulk of his practice on traffic ticket cases. This usually translates to an attorney with significant experience in traffic ticket matters and detailed knowledge of the technicalities of having a fine dismissed or reduced. Choosing can prove difficult, however, as there are many lawyers who fit this description. You may use online reviews and recommendations from loved ones to help you choose well. Additionally, you may consider legal fees before making a decision. If you are going to have an attorney go to traffic court on your behalf, you may be tempted to consider hiring a general lawyer. For example, you might consider asking the lawyer who helps you with legal documents to help you win your traffic ticket case. You may, however, have more confidence in a lawyer’s ability to win your case if his specialty is dealing with traffic tickets. A lawyer who focuses his practice on these types of cases may know how to use technicalities to have tickets dismissed or have your fines and penalties reduced. His experience in this area of law may, for instance, make it easier for him to ensure that you won’t have points added to your driving record. While most lawyers do not guarantee their abilities to win cases for their clients, this matter is often different when it comes to traffic ticket lawyers. Some attorneys who specialize in helping people with traffic tickets do offer guarantees. You may find such a lawyer preferable, as you have the chance to get your money back if the traffic ticket case is not decided in your favor. For example, you might choose a traffic ticket lawyer who offers a money-back guarantee if he is not successful at having your traffic ticket dismissed, making sure your driving record won’t receive adverse marks, or having your fine reduced. 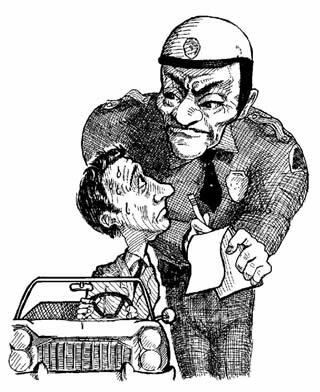 You can search for traffic ticket lawyers online or in phone directories. Often, they take out large ads in newspapers as well. You may find it difficult, however, to choose a traffic ticket lawyer based only on these advertisements. Instead, you may use online reviews to decide which traffic ticket lawyers are worth considering and which ones are better stricken from your list. You may also search peer review websites to learn what other lawyers think of the one you are considering. Additionally, if you have loved ones who have hired lawyers to help them with traffic tickets, you may ask them for recommendations. Legal fees may also play a role in making your decision when you are trying to choose the best traffic ticket lawyer. You will most likely prefer an attorney with fees that are affordable, but you may also want to compare his fees to the fine you are expected to pay. 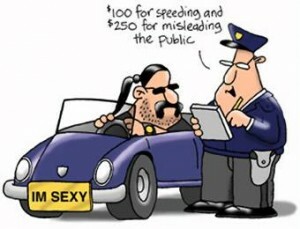 Preferably, the attorney’s fees will be much less than the fine listed on your traffic ticket.